This year is the first time that I've actually been to a festival and what a year it's been already. A huge part of the whole festival preparation is what to wear. So many businesses have caught on to the popular summer time events, and have dedicated huge parts of their stores and websites to help us pick out what to wear, so that we look out best. 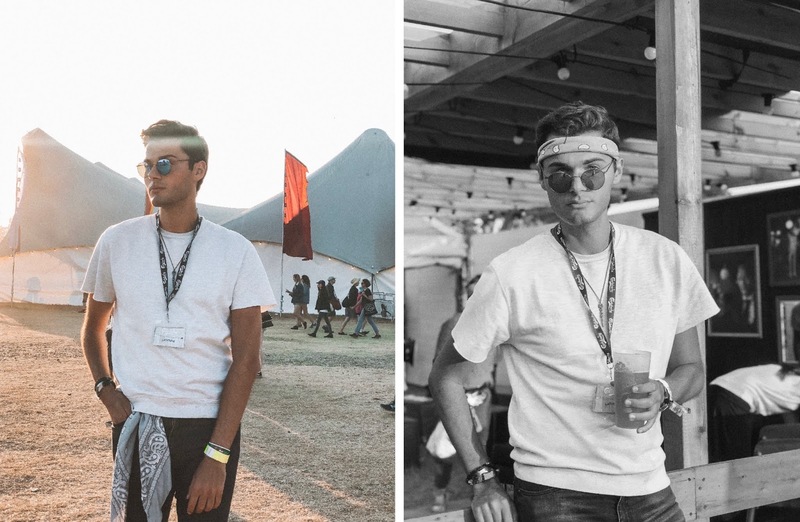 Instagram and Pinterest goes crazy for the top festival looks, and everyone wants to make sure they get the best OOTD shot possible! 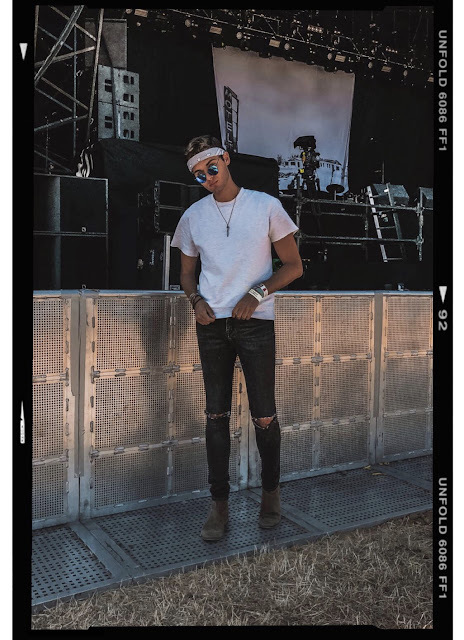 I've popped a few of my top items together to help you look your best this festival season. You guys seemed to love my instagram posts from my time at Latitude, so I thought I'd start off with a few of the pieces I wore. I've never been one for very loud or overly printed things, so kept the outfits quite simple, but gave a nod to the classic rock festival looks. It was very hot, so I went for a simple printed revere collared shirt and ripped jeans, partnered with my trusty pair of leather chelsea boots. These were really comfy and it meant that walking through the fields and dust wasn't an issue as I could wipe them off and wear them all day without them aching. I finished the look with a simple silver pendant necklace and my favourite gold sunglasses. With festivals, you don't want to take too much with you, so I opted for the same jeans again with a different outfit and decided to mix up the accessories and top half. I went for a cut off sweatshirt tee and classic band bandana around my head (who do I think I am?). 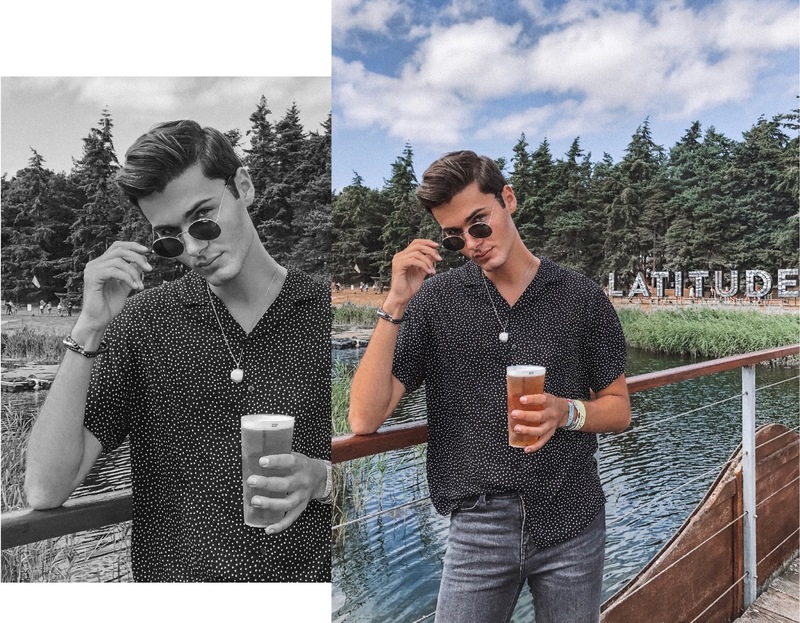 I can't begin to explain how dusty the festival was, so I threw on my suede dessert style boot to finish the look, and swapped out my sunglasses from day one, to my blue lensed alternatives. This outfit was my attempt as a subtle nod to classic rockers and the typical indie-band supporters. For my final look of the weekend, I braved the white jeans and actually managed to keep them white. I picked out my band tee and tied my flannel shirt around my waist so that I could throw it on later on in the day when the sun went down. I'd worn a few bracelets as well across the weekend and kept these on for the final day. Although these looks were quite simple, I think they turned out quite well and did the job - keeping my cool and still managing to look stylish, whilst giving off summer party vibes. I've popped a few more of my favourite pieces below, so have a look incase anything catches your eye! I'd love to see what you guys wear to any festivals you have coming up.